We've been busy dividing lots of plants for our first Plant Sale of the season on Easter Sunday 2-4pm. Peonies, Clematis and Epimedium are amongst the super selection of plants for sale. All inside our walled Botanic Garden located behind the stable block at Wollaton Hall and Deer Park, Wollaton, Nottingham NG8 2AE. A week later on Sunday 28th we have our first All Day Spring Sale of 2019 from 10am-4pm, then every Sunday until October. The Venue is just off the A38 north of Derby and is about 20 minutes from the M1 motorway (junctions 25 and 28). There is also a poster attached below. Welcome to the 2019 Flower Power Fairs newsletter. I hope you all had a very merry Christmas with lots of family and friends around and perhaps some nice garden related presents. The snowdrops are out in my garden in Cheshire and there are lots of bulbs popping up all over the place, the birds are beginning to pair off and the robins are fiercely guarding the feed stations I have in different parts of the garden. I’m hoping that all the different bird boxes I bought from Gardening with Wildlife will be full of youngsters this spring. Flower Power Fairs is delighted to welcome many new exhibitors to the fairs this year including Seeds To Sow, Lizzie Weaver, The Tiny Plant Company, Crafty Plants, The Alpine Garden Society – Cleveland Group, Easiworks (Autism Plus), Cottage Garden Plants, Elmlea Plants, Lawn Hero, Andrea’s Anvil, PlantWild and Trebor Plants. I hope you will make them all feel very welcome and buy some of their products. 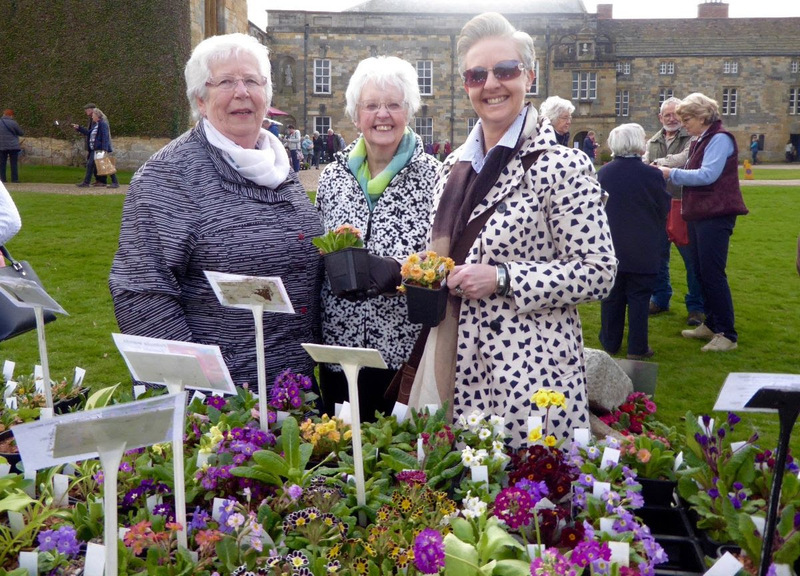 Flower Power Fairs kicks off the 2019 Spring with our annual fair at Holme Pierrepont Hall just 3 miles from the centre of Nottingham. The fair will feature nearly 20 stands – all locally based and all offering some wonderful plants, bulbs, shrubs and trees. The beauty of any plant fair is you get the opportunity to chat to the growers and learn more about the plants they’re selling. The gardens are renown for their Spring displays and you can wander through the old water meadows and into the woods too. Admission £4.00 (dogs welcome in gardens and fair). Advance tickets available online. We have a new April plant fair at Sandon Hall in Staffordshire and this has proved to be a hit with the Midlands plant nurseries too. So another full house of great stands will be there on the lawns beside the conservatory. Admission £4.00. Dogs welcome in the park only. 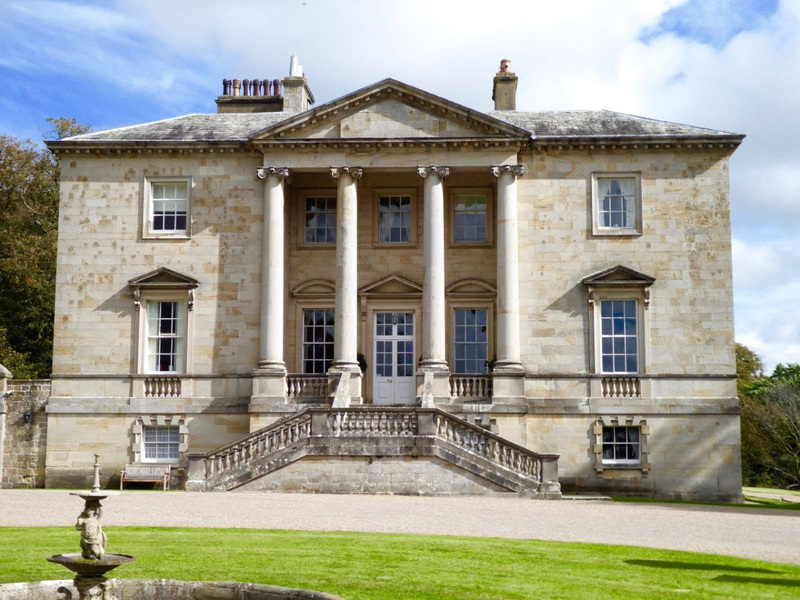 The following Sunday we shall be up at Newburgh Priory in North Yorkshire – one of my favourite places as it has the most perfect setting with the lake and Sutton Bank beyond, over 40 acres of mature woodland and gardens to explore and yummy home made cakes and savouries. The fairs here are always well supported and we have a large number of quality stands there including the aforementioned Gardening with Wildlife. Admission £4.00. Dogs welcome in the gardens and fair. 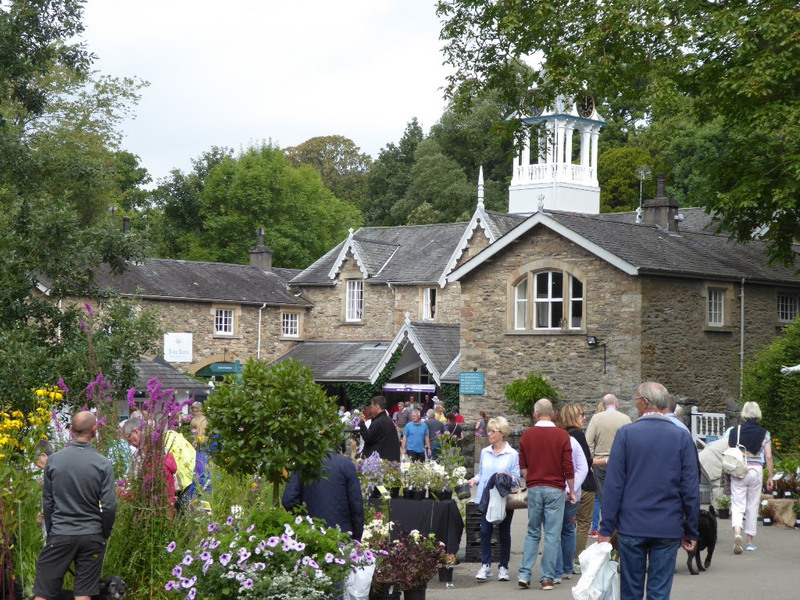 Easter Sunday and we shall be up in Cumbria at Holker Hall & Gardens running the fair alongside the Producers’ Market so you get a really good show of plants, garden related items, local Lake District foods and drink. And its all free! Dogs welcome in the fair but not in the garden (admission charged). May brings us back to the wonderful private garden of Mr & Mrs Murray Wells at Ness Hall, East Ness not far from Nunnington. This is just a breathtakingly beautiful garden, with little nooks and crannies, a herbaceous border, vegetable garden, wild garden, the rill garden and a wisteria arcade (unlikely to be in flower this early in the season). The fair takes place in the pony paddock which has now been turned into a lovely area surrounded by old buildings and the Bothy. Admission £4.00. Please leave your dog at home for this event. Cedarbarn Farm shop, Café and Miniature Railway on the A170 near Pickering is a new venue for Flower Power Fairs this year. I was approached by Karl Avison, the owner, as he is raising money for McMillan Nurses this year and will hopefully be one of the successful jockeys to be invited to race at York Races on behalf of the charity so please be generous when we rattle the bucket at you! The fair will be arranged around the garden and miniature railway and you will be able to pick your own asparagus. Admission is free. 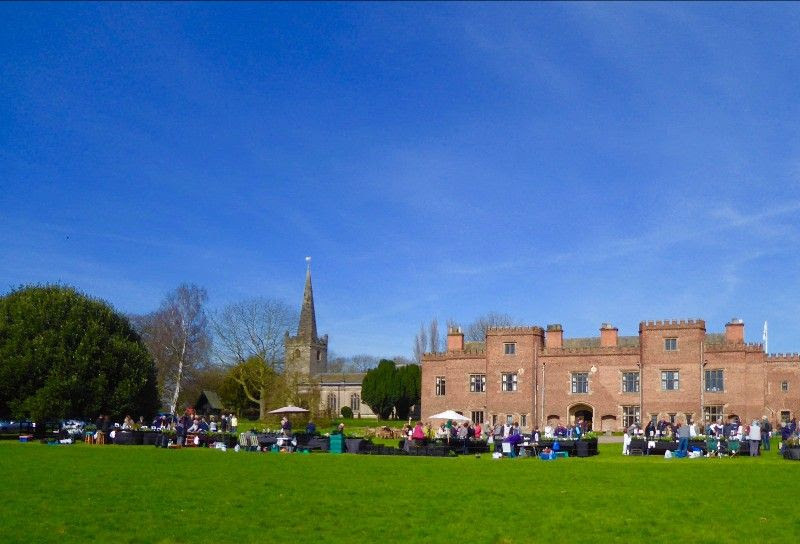 The Whit Monday Bank Holiday brings us back to Cheshire and to Rode Hall. With the wonderful weather last year we were taken somewhat by surprise and had nearly 1000 visitors to the fair and gardens. The owners were delighted that we had so much support from the Cheshire gardeners and I hope you all enjoyed yourselves and that all your plants are thriving. The gardens are always looking particularly colourful at this time of the year with vast swathes of azaleas, rhododendrons and bluebells. Admission (reduced for the fair) is £4.00 for both the fair and the gardens. June delights include another new venue, this time in Lancashire where we visit the delightful black and white house at Salmesbury Hall. There used to be a plant fair held here over 3 years ago by Sue Gillon of Meadowview Plants but due to family commitments Sue stopped organising it. She contacted me last year and suggested I approach Salmesbury and they were thrilled to have a plant fair back. You will be able to meet Sue and her wonderful plant stand at Salmesbury alongside some other interesting stands from the local area. Admission £2.00 which includes the gardens. Dogs welcome. Another full compliment of plant growers and nurseries will be at Sandon Hall to welcome you to this delightful garden. Linda Scott Hardy Plants, North Staffordshire Hostas and Ferns, LBJ Plants, Ruth Plant, Penmere Plants and the Staffordshire Hardy Plant Society will be some of the nurseries attending this event. 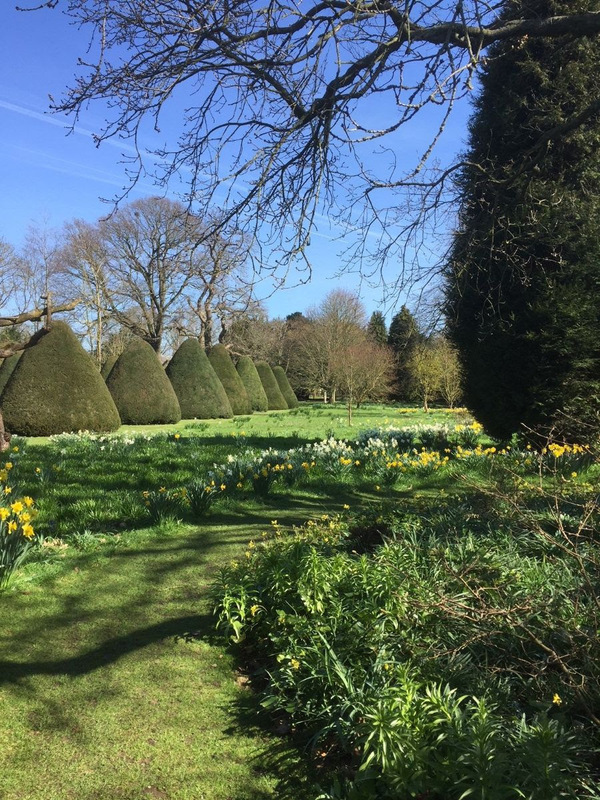 Spread over 25 acres the gardens offer outstanding views across the Staffordshire landscape and have a large collection of flowering shrubs including azaleas, rhododendrons and magnolia. Refreshments will be served in the Conservatory. We also return to Sion Hill Hall near Thirsk for our second fair there. Visitors last year were amazed at the beauty and diversity of the gardens (private and never normally open to the public) and also the standard of plants on sale by the plant specialists. There is a small tea room in the old stables and this is strictly a dog free event as there are several magnificent peacocks who live here. Admission £5.00 with all proceeds going to the maintenance of the House & Gardens held in the H W Mawer Charitable Trust. 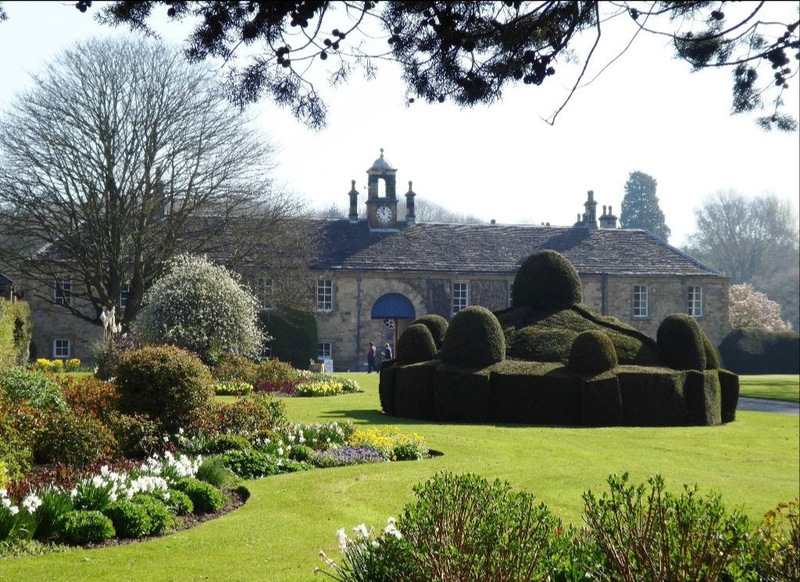 We held plant fairs here at Constable Burton Hall some years ago so I am delighted to announce that we are returning to this beautiful garden and property at the beginning of July. A change in garden opening for 2019 means that you will only be able to visit when they hold a special event and this is the July special event. The fair will be held on the lawns beside the house (not open to the public) and will feature a host of specialist plant nurseries and a handful of garden accessory stands too. Catering will be provided by the Constable Burton chef and admission will include the plant fair, garden and grounds. Sunday 7 July Admission £5.00, children free, catering available, no dogs please. 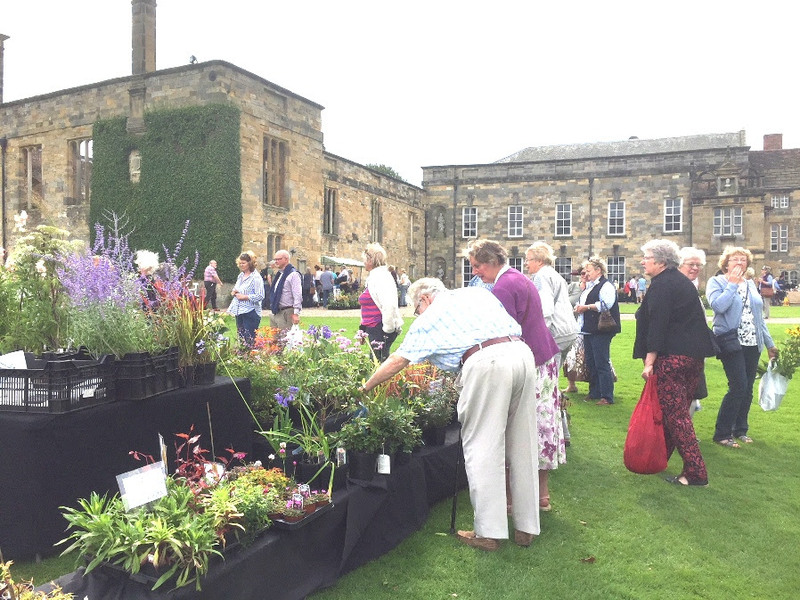 Just two plant fairs in July this season as South Dalton Hall, Coverham Abbey and Worsall Hall take a break but hopefully all will be back in 2020. So we make a welcome return to Constable Burton Hall near Leyburn to view their lovely garden and to enjoy the peaceful surroundings outside their magnificent John Carr house. Admission £5.00, dogs welcome. The house won't be open. Wynyard Hall up in Teesside is now a firm favourite and offers you the most magnificent Walled Gardens to explore with thousands of roses and scented herbaceous plants. As an added bonus we shall also have the Farmers’ Market open in the morning in the car park beside the Gardens so come early! We open at 10am-5.00pm here so it's a long day for the exhibitors. Admission £5.50 adults, concessions vary but you can buy your tickets online for a reduction. 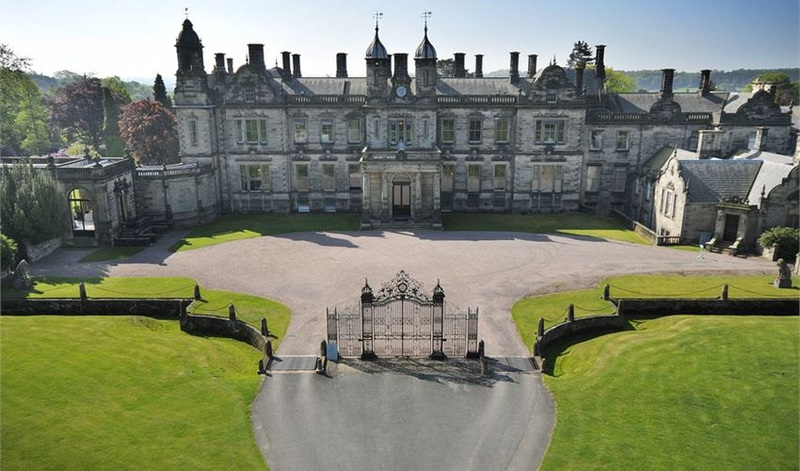 August sees a return to Holker Hall and Newburgh Priory. All details about the fairs and the gardens are on the website, www.flowerpowerfairs.co.uk. I’m very much looking forward to greeting you all this year. Fingers crossed for good weather. Spring is upon us and it's time for their annual newsletter / magazine. It's crammed full with gardening articles and plant fair news with something for every gardener. Janet and Martin Blow hope you enjoy reading it. Plant Hunters’ Fairs 2019 including new venue at Patchings Arts Centre, Notts. This year(2018) we have been thrilled at the number of clubs and societies making Plant Hunters’ Fairs a destination for their special day out either visiting by coach or in shared cars. There is so much on offer. Each of our fairs is hosted by a great garden or countryside venue. In most cases, there is free entry to the plant fair or reduced entry prices to the garden with the plant fair included. Where an entrance fee is charged all of the entrance money you pay goes to the garden hosting the event, often Charitable Trusts, raising much needed funds to help maintain these lovely gardens into the future. Every fair features some of the most highly respected nurseries around, including RHS medallists, National Collection Holders and small specialist growers. All venues can accommodate pre-booked coaches and have lovely tearooms, cafes or restaurants. We can advise on the suitability to your needs of each venue. Pre-booking is only normally necessary if you decide to come as a coach party; you can contact us or the venue directly to make arrangements. Please don’t hesitate to contact us with any questions or comments. 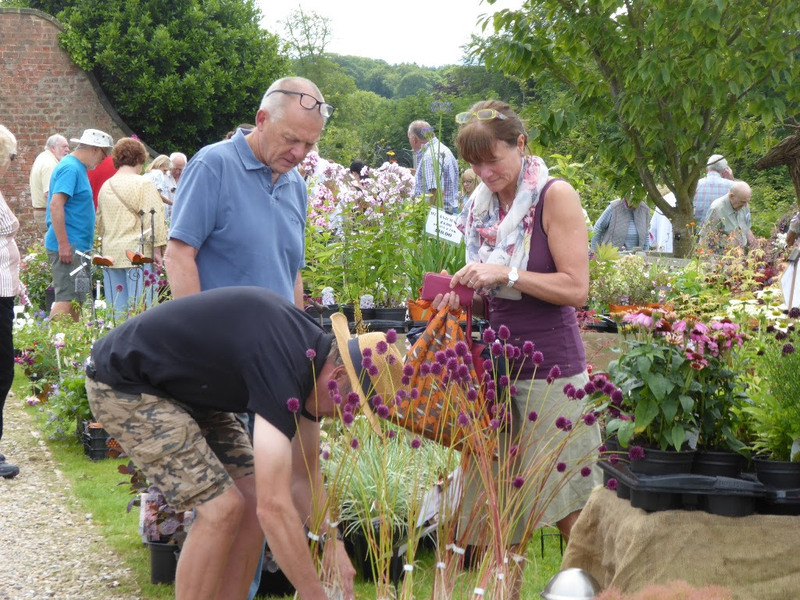 We hope you’ll agree that Plant Hunters’ Fairs make the perfect day out for all garden lovers. This year we have a brand new venue in Nottinghamshire - Patchings Art Centre on Saturday 30 March for a free-to-enter plant fair at this interesting art gallery and garden. So far, we have 20 great nurseries booked. 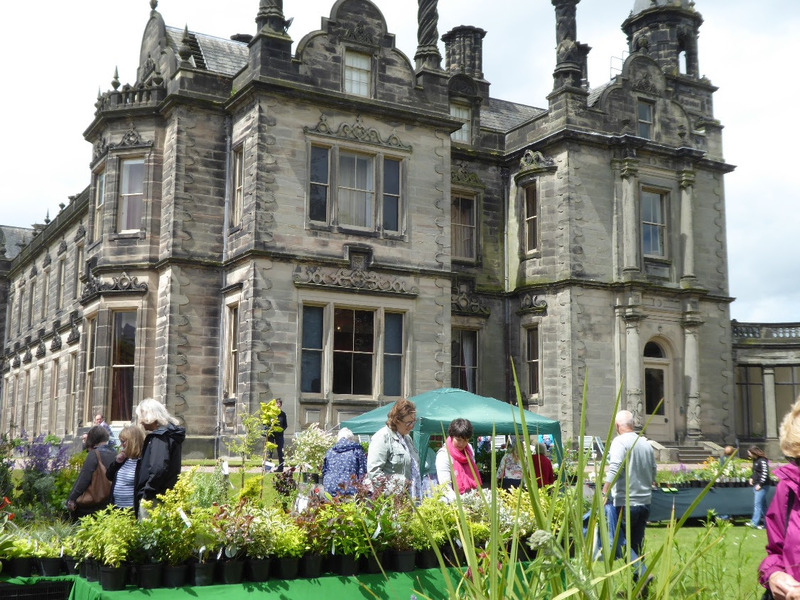 For the first time we are holding a summer plant fair on Sunday 30 June at Cholmondeley Castle Gardens (as well as our established spring fair). We are looking forward to seeing the garden at a new time of year. Highlights will be the new 100m-long double herbaceous borders and the recently replanted Rose Garden, with over 350 roses. We have been visiting Consall Hall Gardens near Leek for the last 8 years and sadly it looks like this year’s event might well be our last chance to visit this spectacular venue as the hall and gardens pass into private ownership during 2019. So, we encourage all garden lovers to make the most of this opportunity to come along on Sunday 14th April and explore this treasure. As you may have heard one of our lovely venues Henbury Hall estate is currently for sale. So, we can't be certain about our events there in 2019. We have planned a pop-up event for 2019 and already have a wonderful line-up of nurseries planned to attend. So please check the website from April for confirmation of the date which is likely to be late June 2019. Our spring fair at Sugnall Hall is at the earlier date of Saturday 23 March. Also, don't forget that Easter is late this year so some April dates have moved around to accommodate this. What hasn't changed is the standard of the nurseries at our events. We have brilliant line-ups for every fair. Below are full details of our 2019 events and venues and a full copy of our 2019 calendar, which are well worth considering for a group outing. Please email to update your details or to unsubscribe. We will be holding our first fair of the 2019 season here. Entry to the plant fair is free and features many highly respected specialist nurseries with a great range of perennials, shrubs, trees, rare species and old heritage varieties. Simply something for every plant lover. The National Memorial Arboretum is a special place of memorial and inspiration with so much to offer visitors: secluded gardens to explore, a nature reserve and a lovely restaurant. The arboretum and fair are free to enter. There are 150 acres of wooded parkland where visitors can both enjoy and learn about the trees and their surroundings and reflect upon their special symbolism. Many of the memorials are placed in peaceful gardens. Although still a 'young' arboretum, in excess of 50,000 trees on the site are rapidly growing into a unique living tribute. Enjoy a hearty, freshly-prepared breakfast, mouth-watering lunch or rest mid-afternoon with a refreshing 'cuppa' and a slice of homemade cake in the two eateries, the Restaurant and Coffee Shop, where the food and drink served are freshly prepared. 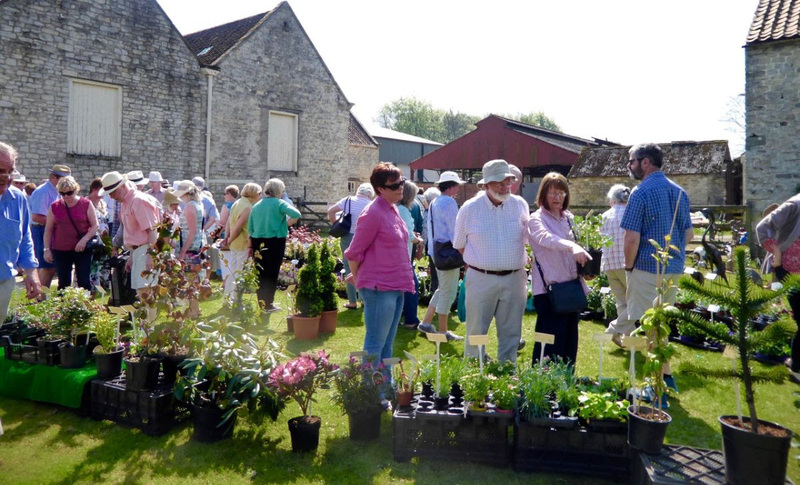 With FREE ENTRY to this plant fair the event offers the opportunity to pop along and visit many specialist nurseries to get your gardening season off to a great start. Carsington Water is a superb location rich in wildlife, scenery and activities for people of all ages. There are 8 miles of paved walks from short strolls to long serious walks. The reservoir was always conceived as a natural-looking haven for wildlife and exciting space for water-based activities co-existing in harmony. The restaurant serves a wide range of lunches and refreshments and has windows and a terrace that give panoramic views of the water and park. Entry to this popular plant fair at Alderford Lake is completely free, so pop along and visit many specialist nurseries at no charge to get your gardening season off to a great start. The plant fair boasts a brilliant line-up of nurseries. The nursery folk will be more than happy to give you the benefit of their experience of planting and caring for the plants you buy so you can get the best from them. You can choose to take the lakeside walks (50p charge). Delicious breakfasts, lunches and afternoon teas are available from the lakeside café. There is ample free parking. Please note: our spring fair at Sugnall Walled Garden for 2019 is at the earlier date of Saturday 23 March. Featuring many highly respected specialist nurseries with a great range of perennials, shrubs, trees, herbs, rare species and old heritage varieties. The 2-acre Walled Kitchen Garden at Sugnall near Eccleshall Staffs dates from 1738 and has been restored as a working kitchen garden producing fruit and vegetables to serve in the tearoom and for homemade jams and chutneys on sale at the garden. The tearoom will be serving home-made fare including teas and cake. For those of you who have caught the "grow your own" bug the garden will be an inspiration. Entry to fair and garden is only £1.00 with free parking. The spring plant fair at Ness Botanic Gardens has a wonderful line-up of top nurseries. The mix of nurseries ensures there’s something for every type of garden; little gems to tempt the most discerning plants person and lots of help and advice for the new or less experienced gardener. Entry to this NEW Plant Hunters' Fair at Patchings Art Centre is completely free and offers the opportunity to pop along and visit 20 highly respected specialist nurseries and artisans from across the country at no charge to get your gardening season off to a great start. The nursery folk will be more than happy to give you the benefit of their experience in how to plant and care for the plants you buy so you can get the best from them. Patchings Art Centre has so much to offer with galleries and working artists. Take a walk around the grounds and discover a myriad of insects and wildlife as you meander along the grass paths, gardens with woodland walk, lake area with Monet Bridge all with free entry. Where better to get inspiration for your garden than at this great plant fair at this wonderful Staffordshire venue. With entrance to the gardens, grounds, hall and plant fair all for just £3.00, we’re sure you'll want to bring your friends and family to make a day of it. The event offers the opportunity to visit a brilliant line-up of 23 specialist nurseries and artisans from across the country to get your gardening season off to a great start. Middleton Hall spans seven centuries of English domestic architecture and is set in 42 acres of tranquil grounds which include a beautiful walled garden, an orchard, Middleton Lake and a nature trail. The tearooms will serve light refreshments. This is our only visit of the year to Lancashire. The plant fair offers the opportunity to visit some wonderful specialist nurseries to get the gardening season off to a great start with a great range of perennials, alpines, shrubs, trees, rare species and old heritage varieties. Tea rooms and the Stables Gift Shop will also be open. Hoghton Tower is set in magnificent grounds, situated 650ft above sea level and approached by a steep, straight 0.75 mile long drive, a 16th-century Elizabethan fortified manor-house. The ancestral home of the de Hoghton family, Hoghton Tower has been a part of Lancashire’s landscape since 1565. Take a stroll through history on a guided tour of one of England's most atmospheric stately homes. The expert and entertaining guides will share stories into the many dramas and characters that have shaped the history of the house. Entry to the Gardens or House is optional (separate charges). £2.00 entry to plant fair in aid of special projects at the hall. There is free entry to the 70-acre parkland. Bramall Hall is one of Cheshire's most historic houses with surrounding parkland in the style of Capability Brown. There is free entry to the 70-acre parkland. Hall entry is optional at standard prices. The event offers the opportunity to visit a brilliant line-up of 20 specialist nurseries and artisans and is a special fund-raising event for special projects at the hall and has proved hugely popular, rapidly gaining a reputation as the best specialist plant fair in the area. The historic hall is also open (1pm-5pm, separate charge) to take you back to its medieval roots. This free to enter plant fair offers the opportunity to pop along and visit many specialist nurseries from across the country to get the gardening season off to a great start. At the same time why not enjoy a walk at this wonderful Country Park with 660 acres to walk round you can go for a quiet stroll in pleasant surroundings. To round off your trip why not enjoy a visit to Sandwell Park Farm, (there is a separate entry charge for this) a fully restored working Victorian farm with grazing meadows, a traditional farmyard, walled kitchen gardens, Grade II listed buildings, a small museum and award-winning tea rooms to provide a perfect day out. The farm is home to a number of rare breed animals. We have been visiting Consall Hall Gardens near Leek for the last 8 years and sadly it looks like this year’s event might well be our last chance to visit this spectacular venue as the hall and gardens pass into private ownership during 2019. So, we encourage all garden lovers to make the most of this opportunity to come along on and explore this treasure. The fair continues to attract the cream of our specialist nurseries and there will be something for everyone. Large tearoom serving teas and light lunches. A brilliant plant fair offering a great opportunity to get out on Good Friday at the start of the country’s biggest gardening weekend. With specialist nurseries with a great range of perennials, shrubs, herbs, rare species and old heritage varieties to get your gardening season off to a great start. What a wonderful setting for a plant event! From the mile-long approach drive to the heart of this 156-acre arboretum the beauty of the setting just keeps on unfolding. With FREE ENTRY to this plant fair the event offers the opportunity to pop along and visit many specialist nurseries from across the country to get your gardening season off to a great start. The visitor centre and lakeside restaurant are housed in an award-winning environmentally sensitive building and serve a wide variety of home-cooked meals and light refreshments including meats from the farm. Why not enjoy the spring weather and take your tea on the terrace overlooking the main pool. 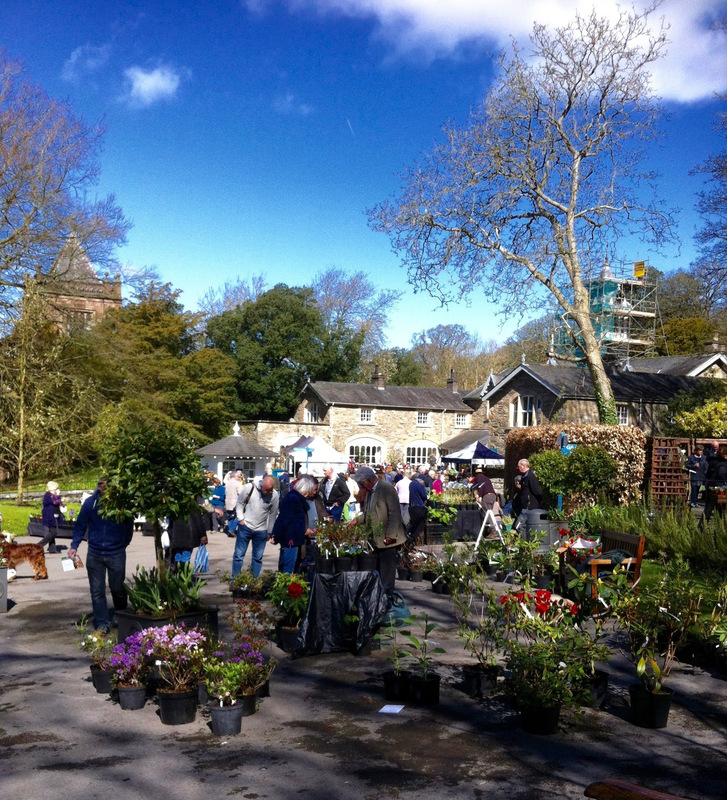 Entry to the plant fair and access to the restaurant are completely free with free parking. Entry to the arboretum is optional and at normal prices. 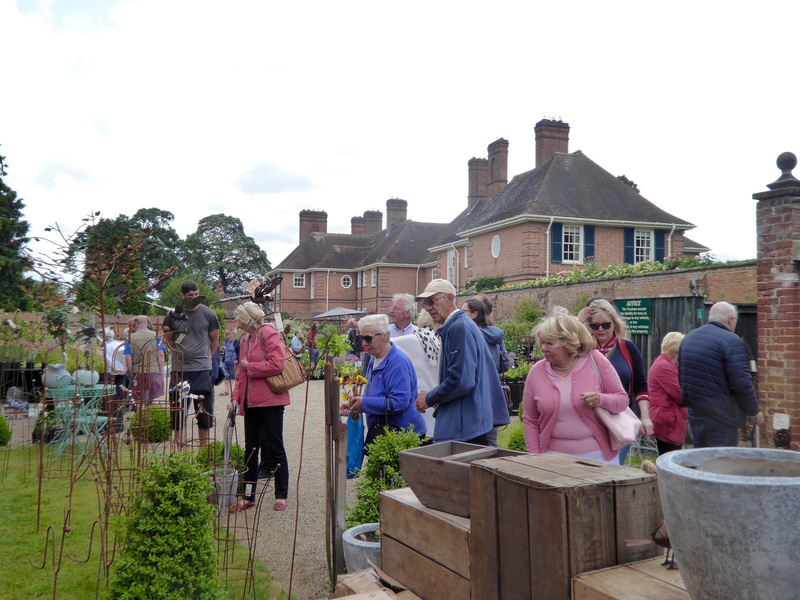 One of the best-loved garden events in the area wooing visitors with a winning line-up of the best nurseries around, a most charming and beautiful garden and a truly relaxing and inviting atmosphere. The 12-acre Dorothy Clive Garden features a superb woodland garden, alpine scree, gravel garden, a damp garden and spectacular flower borders. Famed for its dazzling spring display of rhododendrons and azaleas with massed drifts of bulbs. Explore the gardens, sit and relax in the many seating areas, and enjoy the tearoom's home baking on the terrace lawn, whilst enjoying the lovely views of the surrounding countryside. The Plant Hunters’ Fair boasts 17 top-class nurseries, including RHS Medal Winners and National Collection Holders offering a tremendous variety of plants coming from all corners of the country including National Collection Holders, Roseland House Clematis and Climbers from Cornwall; woodland plant specialists Edrom Nursery from Berwickshire; award-winning alpine nursery Pottertons from Lincolnshire; rare woody edibles and other hard to find trees and shrubs from Jurassic plants and gold medal winning specialists Packhorse Farm Nursery specialising in Acers and rare and desirable shrubs. Plus, many more wonderful specialist nurseries with every sort of plant. Also, don’t miss our two artisan stalls with Staffordshire terracotta garden ware and iron plant supports, all hand-made using traditional methods.” This is a special fund-raising event for the charitable trust that owns and maintains the garden. The plant fair offers the opportunity to pop along and visit many specialist nurseries at no charge to get the gardening season off to a great start. At the same time visit Battlefield 1403's excellent farm shop, deli and Sparrow's Café, which are a celebration of low food miles, only buying British (and that means no lemons or grapes in sight), fresh seasonal products with full traceability. The café cooks up a storm daily using local produce sourced from the estate and local producers. Battlefield 1403 is a something quite different location for Plant Hunters' Fairs and has a lot to offer our plant fair visitors! Today Battlefield 1403 is a bustling farm shop, butchery, deli, cafe and exhibition, but over 600 years ago this was the site of one the bloodiest battles fought on British soil. After visiting the plant fair and shop at Battlefield 1403, take a walk around the boundary of the 100-hectare battlefield. Battlefield Church is said to have been erected over the site of the mass burial pit dug immediately after the battle. Now looked after by The Churches Conservation Trust, it provides an opportunity for quiet reflection. The Battle of Shrewsbury exhibition explains the facts as we know them and introduces additional fun facts for children. Exhibits on display include a fully armoured "Sir Nicholas", various weaponry, a longbow archer and other medieval artefacts. Plants will be at the heart of the event and we have a brilliant line-up of nurseries, each with something new, different and unusual for every Plant lover. Cholmondeley Castle Gardens is said by many to be among the most romantically beautiful gardens they have seen will have a stunning display from the drifts of bulbs and flowering trees and shrubs. The Gothic revival castle - a product of the early 19th century - stands on a high rise above a lake and is surrounded by sweeping lawns and a variety of mature trees, including cedars of Lebanon, oak and chestnut. The surrounding gardens provide a lovely mix of colour and height, with intriguing walks around the lake. There is a temple water garden, rose garden, rhododendrons, azaleas, magnolias and a variety of mixed borders. Why not bring a picnic and enjoy magnificent views across the deer park mere, with its many varieties of wild birds together with an excellent view of Cholmondeley Castle. 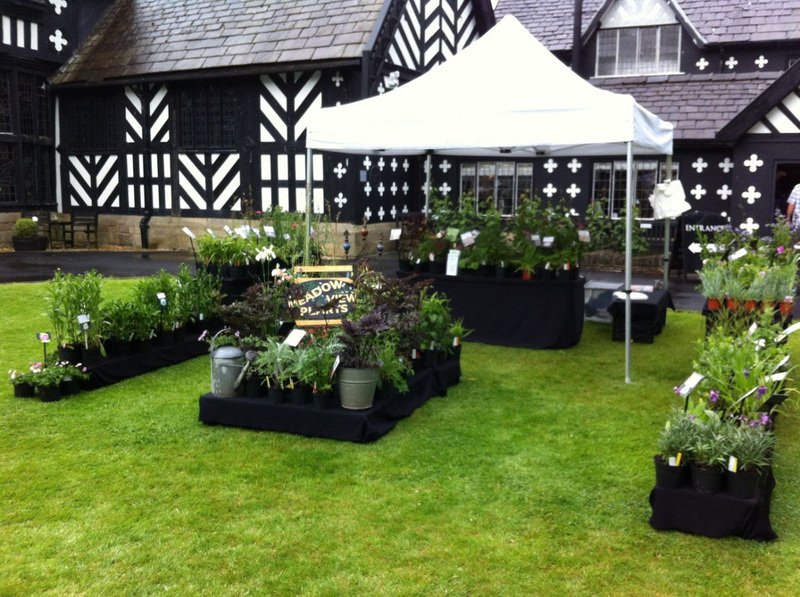 The plant fair is handily placed right next to the tearooms! The plant fair features highly respected specialist nurseries with a great range of perennials, alpines, shrubs, trees, rare species and old heritage varieties. Surrounding the Manor House are period gardens and woodland planted as part of the development of the National Forest. The gardens, re-created in a 17th century style, include flower and herb gardens, an ornamental maze and an orchard. The Old Barn Tea Room will be open and serving home baked cakes, light lunches and a range of hot and cold drinks. The house is open on the day and if you would like to see it there is a separate charge to enter. This rare and beautiful house is a surviving example of a family home built in the 13th century and then modernised in 1618. It has been home to many families over its 700 year history, but the Digby family, which included the Gunpowder Plotter Sir Everard Digby, lived in the house for over two hundred years. It is towards the end of the Digby ownership that the refurbished house is focused, showing how people lived in late Elizabethan and early Jacobean times. Visitors can now see the beautifully restored period rooms and talk to our volunteers about the history of the house, the families that lived here and about life in the 1620s. Weston is an award-winning stately home set in 1000 acres of "Capability" Brown parkland, much of it wooded and planted with spring bulbs, bluebells, azaleas and rhododendrons. There are miles of woodland walks, lakes and the beautiful formal gardens to explore. Children can let off steam in the Woodland Adventure Playground. The wonderful Plant Hunters Fairs will once again make Weston their home over the Bank Holiday weekend with a great plant fair showcasing highly respected nurseries. Whether you are a green-fingered professional or just like to potter in the garden, there will be a wide selection of top-quality nurseries attending. There will be a great mix of expert growers, each with their own distinctive specialities. Come for a day out, find some lovely plants for your garden, get expert advice from the enthusiastic nurserymen, and take time to experience the peace and tranquillity, the trees, the memorials, and the parkland walks. Enjoy a hearty, freshly-prepared breakfast, mouth-watering lunch or rest mid-afternoon with a refreshing 'cuppa' and a slice of homemade cake in the two eateries, the Restaurant and Coffee Shop, where the food and drink served are freshly prepared. 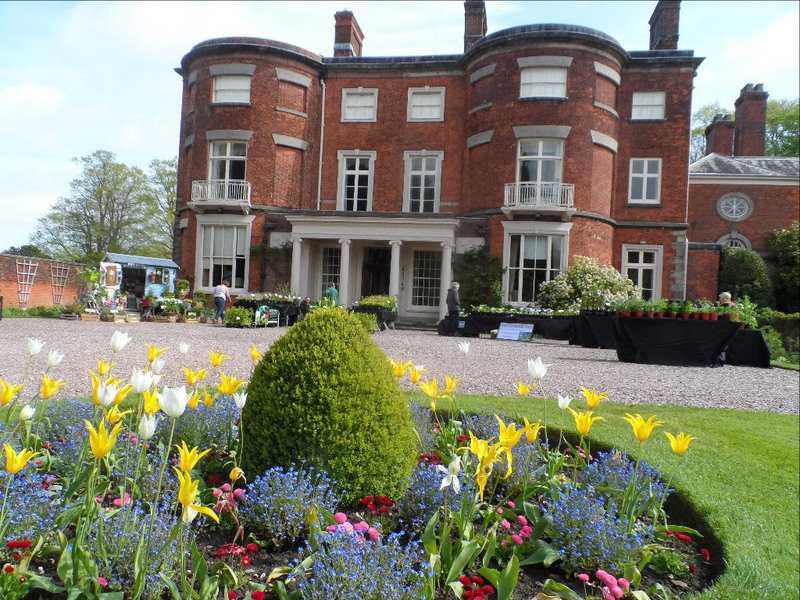 Back again for the 11th year, by popular demand, the Plant Hunters Fair will be held in the grounds of Cheshire’s fabulous historic Adlington Hall. This event has become firmly established in the gardener’s calendar as the place to go to get something different and special for your garden. The popular plant fair will be set against the backdrop of the historic hall and is surrounded by the beautiful gardens and parkland. 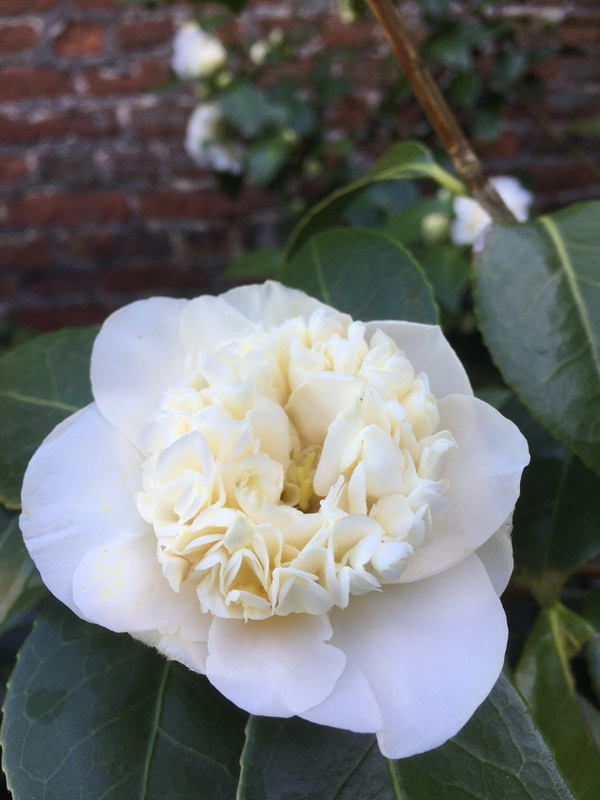 With so much to see, why not take one of the free guided tours of the gardens with the Head Gardener Anthony O’Grady or simply relax, take in the beautiful gardens and enjoy the lovely refreshments that are available. Adlington Hall is one of the oldest and most historic Cheshire houses. The 2,000-acre Estate contains parkland landscaped in the 18th century in the style of 'Capability Brown' complete with ha-ha. The Lime Avenue dating from 1688 is one of the oldest surviving in Britain and leads to a woodland wilderness with winding paths, temples, bridges and follies in a rococo manner. A path through the laburnum Arcade leads into the formal Rose Garden, then on to the Maze created in English Yew. The Father Tiber water Garden provides a peaceful haven with its ponds, fountains and water cascade and the parterre provides a colourful addition to the east wing. Please note: our spring fair at the British Ironwork Centre for 2019 is on a Saturday this time. Our plant fairs at The British Ironwork Centre have raised thousands of pounds for Hope House Children’s Hospices, with the £1.00 entrance fee going to this very deserving cause. Please help us raise more in 2019! Come for a great day out, find some lovely plants for your garden, get expert advice from the enthusiastic nursery folk. The British Ironworks Centre not only boasts a working smithy and a showroom featuring the biggest choice of quality British ironware for both indoors and garden use but also the Shropshire Sculpture Park featuring a safari in ironwork that has to be seen to be believed! The venue has lots to see and explore with something for all ages, plus the bonus of a great Plant Hunters' Fair to enjoy! 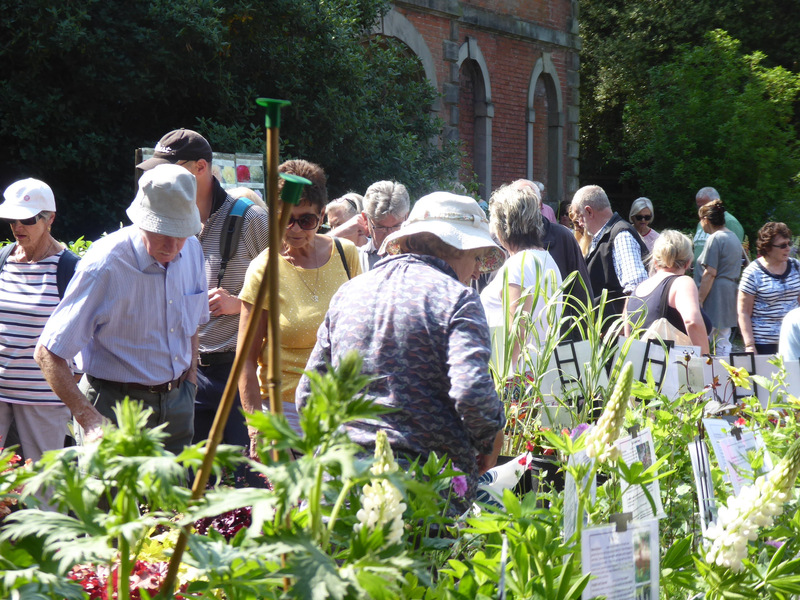 Plant Hunters’ Fairs come to Abbeywood Gardens in Cheshire on Sunday 19th May, a new earlier time of year for 2019. The gardens have plenty to see and enjoy with 6 acres divided into separate garden areas, each with its own distinctive character and themed planting. The long, flowering, naturalistically planted herbaceous borders of the main garden are divided by impressive yew hedges into the pool, chapel and pergola gardens each bursting with sensational colour. The exciting and vibrantly planted Christopher Lloyd inspired Exotic Garden is filled with Dahlias, Bananas, tender perennials and annuals. A fabulous prairie garden. The plant fair will have a great mix of expert growers, each with their own distinctive specialities. NGS opening including a great Plant Hunters’ Fair at the wonderful Pottertons Alpine Nursery and their beautiful garden. The plant fair offers the opportunity to see many specialist nurseries who don’t normally visit this part of the country. It’s just the right time to pick up some summer flowering plants to give your garden a boost and the nurseries will have just the right plant for your garden with nurseries specialising in plants of all sizes for a wide range of garden situations from hot sun to cool shade. Carsington Water is a superb free-to-enter venue rich in wildlife, scenery and activities for people of all ages. There are 8 miles of paved walks from short strolls to long serious walks. The restaurant serves a wide range of lunches and refreshments and enjoys panoramic views of the water and park. Hodnet Hall boasts over 60 acres of breath-taking gardens with grand vistas; intimate, secluded areas, magnificent lakes, peony and rose garden, herbaceous borders, woodland garden, wildflower meadows and a walled kitchen garden. Visitors can explore the gardens, meet top nurserymen and women and enjoy light refreshments in the picturesque restaurant. What more could you want on an early summer's day? Come along to Bosworth Battlefield for a great Plant Hunters' Fair featuring highly respected specialist nurseries with a great mix of plants and specialities to delight plant lovers of every level of experience. It’s just the right time to pick up some Summer flowering plants to give your garden a boost and the nurseries will have just the right plant for your garden with nurseries specialising in plants of all sizes for a wide range of garden situations from hot sun to cool shade. The plants are lovingly grown by small specialist nurseries and these enthusiastic plants people are on hand to give honest, straightforward advice on choosing and growing the right plants for your garden. At the same time why not enjoy a walk on the country park trail, which invites you to discover the Battle of Bosworth whilst enjoying breath-taking views. The Visitor Centre will also be open (optional at normal entry prices). Tudor Road, Manor Park, Runcorn, Cheshire WA7 1SX. FREE ENTRY to this popular plant fair showcasing highly respected specialist nurseries with a great range of perennials, shrubs, trees, rare species and old heritage varieties. This event will be in association with the walled garden's NGS open day (£4.00 per person if you want to enter the gardens or gardens and museum £7.95 there is a special group rate available). Norton Priory is the most excavated monastic site in Europe. Boasting the ruins of an Abbey, 12th century undercroft and an 18th century Walled Garden, it is located within an oasis of tranquil woodland and wildflower meadows. The new museum displays thousands of artefacts from Norton’s 900 year history including the internationally significant 14th century statue of St Christopher. The 2-acre Walled Garden was built between 1757 and 1770 for the Brooke family, the owners of Norton Priory. When the Brookes left Norton Priory, it became neglected and overgrown, until work began in 1980 by Runcorn Development Corporation to reclaim it. 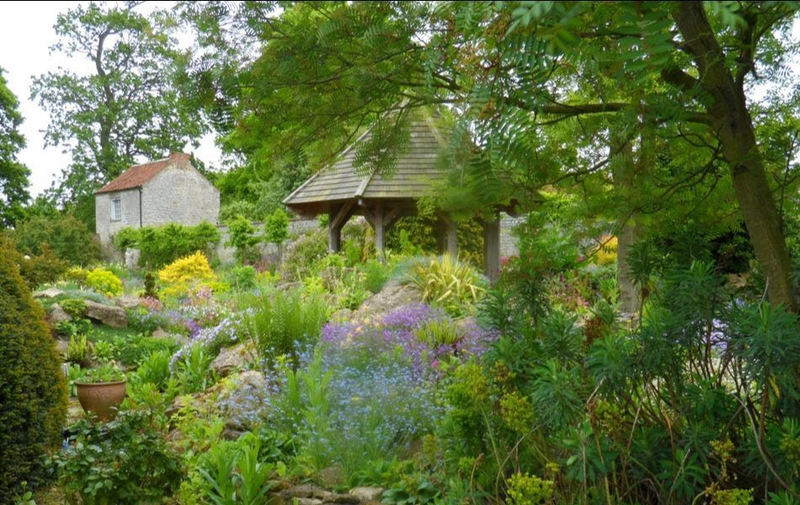 The garden was featured on BBC TV's "Hidden Gardens" series with Chris Beardshaw. Essentially a kitchen garden, it would have been the source of fruit, vegetables and flowers for the mansion house. Today there is an orchard, a fruit garden, a vegetable garden, various ornamental borders and the beautiful Rose Walk. Norton Priory is home of the National Collection of Tree Quince (Cydonia Oblonga). The Walled Garden is also the location of a number of Norton Priory's "hidden gems", including the Ha Ha Wall, the Ice House and the Wildflower Meadow. The plant fair is held just outside the walled garden and runs from 10.00 a.m. to 4.00 p.m. with free entry to plant fair and tearoom. Discover a tranquil wonderland of rare and ancient trees, exquisite walled gardens and panoramic views. Go back in time and watch the Severn Valley Railway trains steam across the hill from one of the magnificent signposted walks. Add to this a plant fair with brilliant specialist nurseries and we've the perfect day out for plant lovers. The nursery folk will be more than happy to give you the benefit of their experience in how to plant and care for the plants you buy so you can get the best from them. As you may have heard one of our lovely venues Henbury Hall estate is currently for sale. So, we can't be certain about our events in 2019. We have planned a pop-up event for 2019 and already have a wonderful line-up of nurseries planned to attend. So please check the website www.planthuntersfairs.co.uk from April for confirmation of the date which is likely to be late June 2019. Henbury Hall is a hidden gem in the heart of the rolling north Cheshire countryside, a setting of almost magical peace and tranquillity. The rarely open to the public 12-acre gardens have recently undergone a transformation to awake them from years of slumber and are just waiting to be explored and loved. Set in an undulating landscape and surrounding two magnificent lakes, the gardens contain many fine trees and shrubs including some rare specimens as well as more intimate spaces such as the walled garden. The plant fair features highly respected specialist nurseries with a great range of perennials, alpines, shrubs, trees, rare species and old heritage varieties. Cholmondeley Castle Gardens is said by many to be among the most romantically beautiful gardens they have seen. The Castle is surrounded by sweeping lawns and a variety of mature trees. The gardens provide a lovely mix of colour and height, with intriguing walks around the lake. There is a Temple Water Garden and a recently replanted Rose Garden, with over 350 roses. A wonderful new 100m long double herbaceous border is in place with floral interest in these borders from spring through autumn, but they are at their best in summer. Great care has been taken to select plants which complement each other through both texture and colour. Several varieties of Dahlia can be found alongside Crocosmia, Salvia, Persicaria, Helenium, Echinacea, Geranium, Phlox, and the banana like leaves of Canna, in a scheme of varying shades of pinks, reds, oranges with the odd splash of mauve and white and new rose supports with climbing roses. Plant fair featuring highly respected specialist nurseries with a great range of perennials, shrubs, trees, rare species and old heritage varieties. Please note: due to building work in the garden during the summer we will be holding the July fair in the woodyard adjacent to the walled garden. At the same time as visiting the plant fair why not take a walk on the network of paths and tracks, starting from the lane outside the walled garden, which takes walkers right to the heart of the estates rural idyll. There are several kissing gates to extend the network and provide a number of circular walks of different lengths past the pools. Ask for a free map. Refreshments available. It’s just the right time to pick up some late flowering plants to give your garden a boost and we know that the nurseries will have just the right plant to set your summer garden ablaze with colour and add a sparkle to a shady spot, plus lots of expert knowledge on hand to help you choose the best for your and unique garden. With entrance to the gardens, grounds, hall and plant fair all for just £3.00, we’re sure you'll want to bring your friends and family to have a lovely day out. Middleton Hall spans seven centuries of English domestic architecture and is set in 42 acres of tranquil grounds which include a beautiful walled garden, an orchard, Middleton Lake and a nature trail. The grounds are a Site of Special Scientific Interest (SSSI) including a nine-acre lake, noted Walled Garden and a children's play park. Adjacent to the grounds are the RSPB reserve, Middleton Lakes. Middleton Hall has a special place in the history of our understanding of plants. It was the home of Francis Willughby, the naturalist – an original Fellow of the Royal Society – and it was here that he brought his teacher and friend, the first great English naturalist, John Ray. Ray compiled his Catalogus Angliae here, one of the first attempts at a comprehensive listing of British plants. 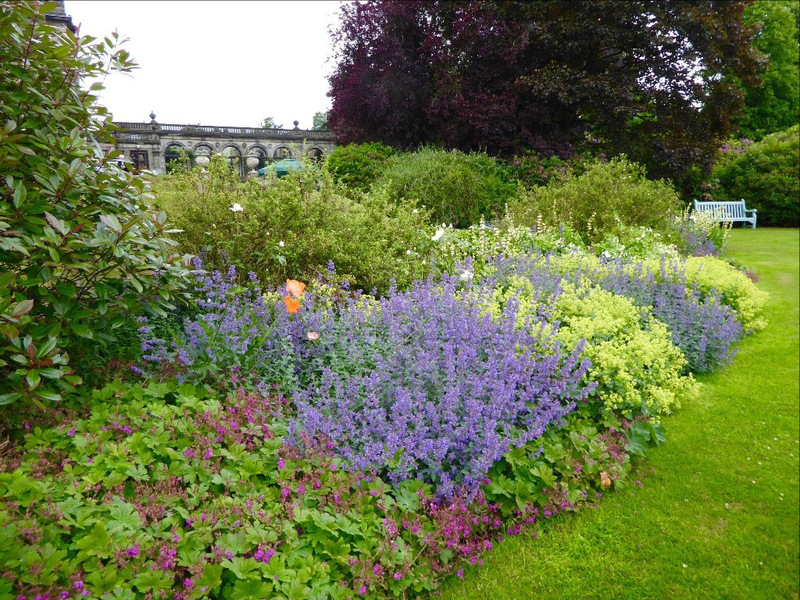 Today there are large and small walled gardens, herbaceous borders, orchard and sunken garden. There is an adjacent Craft Centre, with specialist shops and cafe. Summer Plant Hunters’ Fair at the British Ironwork Centre. This is a special fund-raising event for Hope House Children’s Hospices, with the £1.00 entrance fee going to this very deserving cause. It’s just the right time to pick up some Summer flowering plants to give your garden a boost and the nurseries will have just the right plant for your garden with nurseries specialising in plants of all sizes for a wide range of garden situations from hot sun to cool shade. The British Ironworks Centre not only boasts a working smithy and a showroom featuring the biggest choice of quality British ironware for both indoors and garden use but also the Shropshire Sculpture Park featuring a safari in ironwork that has to be seen to be believed! The venue has lots to see and explore with something for all ages, plus the bonus of a great Plant Hunters Fair to enjoy! An unusual view of our Garden at Wollaton Hall.